Nigerian actress and producer , Funke Akindele took to social media to celebrate her husband , JJC Skillz . The music producer turned 42 today. 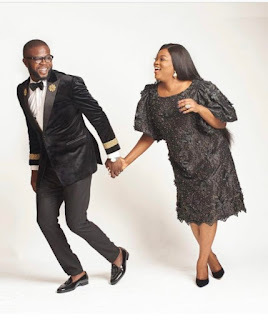 If you recall, Funke Akindele , 41 welcomed twins earlier this year.